Beitou Hot Springs Museum has 2 stories, on the 1st floor visitors are able to see the public bath along with introduction of history and facilities of hot springs, appliances used in hot springs, Beitou Stones and the bathing space. The 2nd floor offers 6 different exhibition areas including Beitou History where pictures, news articles and relevant equipments and accessories representing Beitou are on display, Look out balcony offering visitors a place to see Beitou’s beautiful scenery, Taiwanese Hollywood introducing a hundred or so films that were shot in Beitou during the 50’s and 60’s, Exhibition area B displaying other related exhibitions, Multi-media room showing the documentary of Beitou Hot Springs Museum and Tatami-floor recreation area where people used to chill out after their hot baths. Katagalan Culture Center is a 10-story building that houses an aboriginal culture display hall, a multimedia showroom, an aboriginal theme library, research features, conference and performance area, rooms for cultural and historical studies, and a souvenir shop. 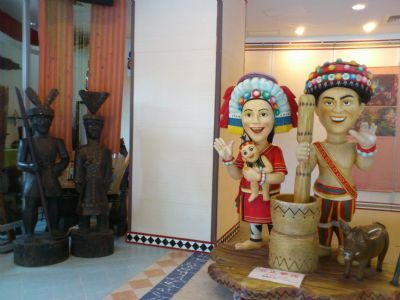 A number of exhibitions covering interesting aspects of indigenous aboriginal culture are displayed on the first three floors of Katagalan Culture Center, where visitors may find multimedia shows, traditional artifacts on display for an excellent overview of the existing and historical tribes of Taiwan, numerous pictures to bring the interesting customs and festivals alive, and artifacts used by the different aboriginal tribes. 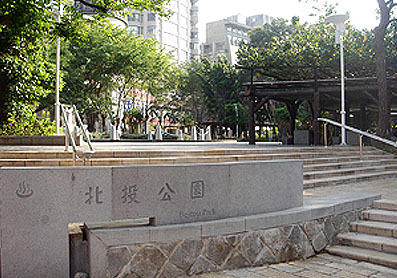 Beitou Park is one of Taipei’s oldest parks and Taiwan’s first hot spring park. Fountains, Taipei Public Library Beitou Branch, Beitou Hot Springs Museum and outdoor hot spring area can be found within the six-hectare park. 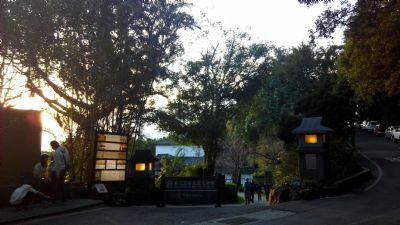 There are also many facilities in the park including a hot spring education center, Hokutolite conservation area, administration center, indoor and outdoor bathing springs, children hot spring playing area, and a topiary maze. Visitors can enjoy a hot spring soak and the rich culture and history of Beitou at Beitou Park. The first sight of the Folk Arts Museum brings back nostalgia of a lovers' reunion. 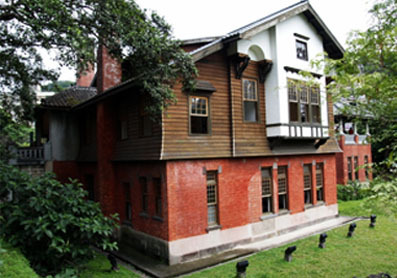 It is an incredibly old building, designated by the Taipei City Government as a historical site of the third rank. It is of 2 stories height, and the design took after that of the Tung Dynasty. At the front of the gate is a tea ceremonial hall with the art crafts section. There are Taiwanese traditional objects, traditional costumes, aboriginal cultural teachings etc. on display, and the most popular Women's Foot-binding History display portrays the pain women had to go through in the past. Designed by the Taiwanese firm Bio-Architecture Formosana, Beitou Library is fitted with eco-friendly features and settings making it one of the most energy-efficient and environmental-friendly architectures of East Asia. 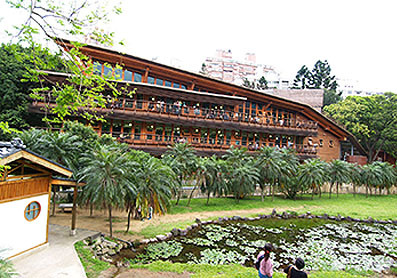 Entirely made of wood and green features, Beitou Library is an excellent Taipei stop for its architectural uniqueness, as well as more than 20,000 English and Chinese literatures for visitors to peruse at their leisure. Located next to XinBeitou Park, the Geothermal Valley is a jade-like spring covered with mists. The valley has a history of more than 200 years, it was once known as the Hell Valley due to several incidents of tourists . Today, the valley is known as Geothermal Valley that has a high temperature between 80 to 100 degrees Celsius. Being a hydrochloric acid spring with a high temperature, it is unsuitable for body contacts. Plum Garden is one of the renowned interesting historic sites of Taipei’s northern district of Beitou. It is a Japanese-style wooden building that was once the summer gateway home of former Control Yuan president and famous Chinese calligrapher master Yu You-Ren. Built in the late 1930s, the garden was listed as a historical building by the Taipei City Government in 2006. The garden has then been renovated and opened to the public as a visitor information center. The architectural preferences of the early World War II period can be found within the building. 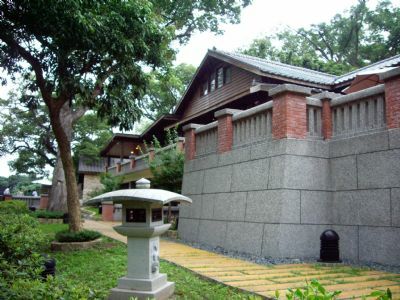 In addition to providing Beitou information to visitors, the center also features a permanent exhibition on the history of local architecture. Built in 1978, over 26 thousand square meters, the park is rich in nature with pavilions and playground for kids. It’s where the locals often hang out. 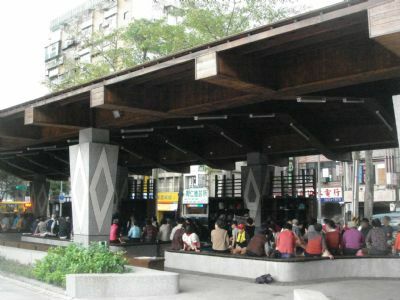 On December 2014, the officials organized a footbath area within the park, open free to everyone. The hot spring of the footbath comes from Geothermal Valley. It’s acid sulfur spring from 50 to 70 degrees Celsius around pH 1.2 to 1.6. 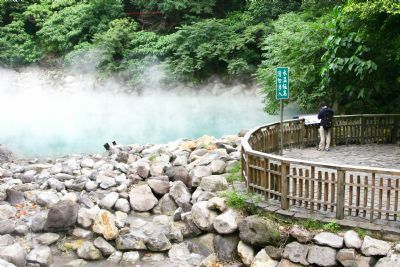 The spring water is clear, slightly green thus the name green sulfur spring, a rare and the finest hot spring around the world, which is the reason Beitou is so popular among foreign travelers while visiting Taiwan. To enjoy the unique hot spring only 2 sites in the world could offer. Puchi Temple is a historical site with over a hundred years of history. It was built in 1905 and is one of the few Japanese Shingon temples in Taiwan. The temple was built by the railway employees at the time and was then designated as a city historical monument. 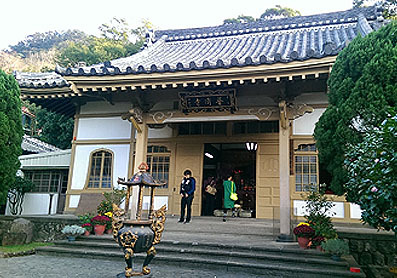 Puchi Temple is one of the most well-preserved classic Japanese architectures of Taiwan. 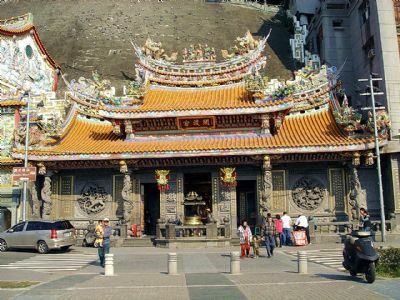 Many historical values can be found in the architecture of the temple including the bell shaped windows, classical brackets and arch beams, black roof tiles, and the Hot Spring Guanyin statute. The Guandu Temple is rich in history. The carving of the dragons on the pillars, stone lion sculptures, wall engravings and especially the doors were very rare and skillful handiworks. Inside the chamber, more picturesque carvings and paintings are found on all 4 sides, pillars and ceilings. They are truly magnificent. At the altar, is none other than the statue of Mazhu. Her generals, Chianliyan (Thousand-mile eyes) and Soonfung-er (wind ears) are on both sides. The gentle smiling face of Mazhu is a great contrast to her fierce-looking generals. Guandu Nature Park is mainly divided into 4 zones: Conservation Zone, Education Zone, Observation Zone, and Recreation Zone. It is considered as the last piece of clean soil in Northern Taiwan, a haven for the waterfowl birds. Visitors may find freshwater and brackish ponds, mudflats, marsh, rice paddies, and woodlands inhabited by a rich variety of organisms. 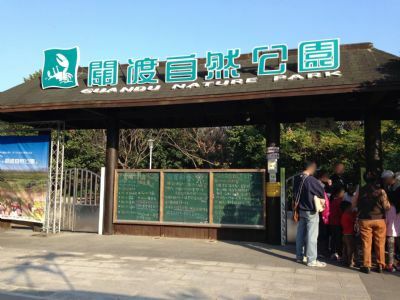 Guandu Nature Park is a perfect place for an ecological tour. Over 830 species of animals including amphibians, fishes, insects, mammals, and reptiles, and about 230 species of birds have been observed to date making this wetland an important bird area of Taiwan.